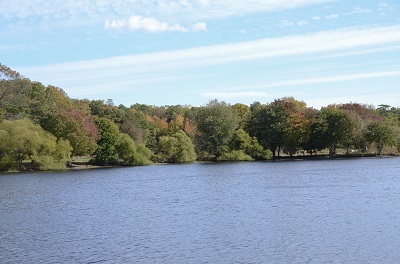 At the Manasquan Reservoir Visitor Center, park patrons ages 18 and older can rent rowboats (1-hr $14.54 or 4-hrs $35.64); electric motor powered rowboats (4-hrs $46.42); and kayaks (1-hr single person $14.54 or 1-hr double person $20.63). Cash or check only. A $10 deposit is required for 1 hour rental; $20 deposit required for 4 hour rental. (Prices do not include sales tax.) 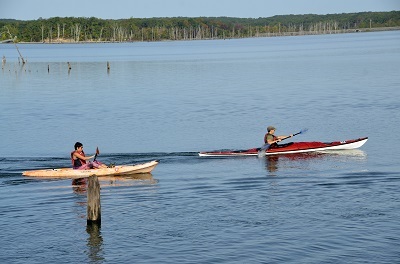 Boat and kayak rentals start at 7 a.m.
Boat rentals are available weekends only from May 1 through mid-June, daily through Labor Day, and weekends only again from Labor Day through Columbus Day. The campground, open through November 15, provides facilities for tent camping and travel trailers. Of the 64 campsites, 52 can be reserved and 12 are available on a first come, first served basis. All campsites are pull-through with water and electric hookups. The rates per night are as follows: a tent site is $30 for county residents and $34 for non-residents; a recreational vehicle/trailer site is $36 for county residents and $40 for non-residents. The campground also features three cabins. The cost of each cabin is $65 a night for county residents and $75 a night for non-residents. Weekly rates are $310 for county residents and $360 for non-residents. For information about reservations, please call 732-462-7286. All Park System golf courses are open daily. With five championship courses, two 18-hole executive courses, and a nine-hole par three course, the Park System is able to accommodate golfers of all skill levels. Automated tee time reservations (after the purchase of an ID card) and information are available by telephone at 732-758-8383 and online at http://www.monmouthcountygolf.org. 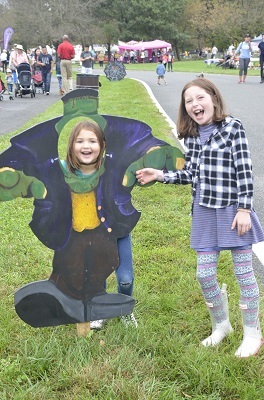 Sunday, September 30 from 11 a.m.-5 p.m.
Sunday, October 14 from 11 a.m.-5 p.m.
Register for some of our activities that can be found in our Fall Parks & Program Guide. Hike, run or bike our county park trails. Stroll the beautiful gardens of Deep Cut Gardens to see what's in bloom. Arrange a group picnic with friends or family. Bring your children to one of our many playgrounds. Enjoy the day with your four-legged friend at one of the Park System's off-leash dog areas. Take some time to relax and enjoy the colors of autumn at any of your county parks.